I recently swapped my 13" Macbook Pro (MBP) for the same sized Macbook Air (MBA). I really liked the MBP, it was solid and powerful, but that made it quite heavy and a little bulky. I tried the MBA and found that it was powerful enough for my needs ( no editing 4K video here) and was nearly half the weight of the MBP. Whenever I took the MBP on assignment or just when travelling, I nearly always carried it in a separate case, as I wanted to carry my camera in a small bag. Adding the weight to my camera gear made it a bit heavy to carry around all day in one bag. So armed with the MBA I was on the look out for a new bag. One that could carry my basic fuji kit and the MBA comfortably. I had a very strict idea of what I was looking for. It needed to be something that I could use everyday and in various scenarios. It needed to look smart for visiting clients, but then fit with the more casual side of things. The biggest problem with most the bags I looked at was that they were too big for the size of my camera gear, which would put me off using it if I wasn't carrying the MPA. I also wanted something low profile and slimline, which again was not easy to find. I really like Think Tank bags and already own a retrospective 30, which I rate. The MPA doesn't quite fit in the bag, which was a shame. The nearest sized retrospective with a laptop compartment is the 60. I already found the 30 a bit cumbersome in some uses, so I discounted the 60 quite quickly. I had heard about the bag range from ONA a little while back. Browsing their website I found that the bags were exactly the sort of thing I was looking for. They are not really stocked in shops over here, being an american brand. Luckily I knew a photographer who had bought an ONA Union Street. Upon seeing the bag I was convinced. There were two models that I was looking at, the Union Street and the Brixton. They are both very similar, but the Union can hold a 15" laptop where as the the Brixton only a 13". I was on the verge of going for the slightly bigger Union Street, as you never know, but decided to give the Brixton a try instead. The bag arrived from fotosense in timely fashion. It comes beautifully packaged (its nice to see a brand putting in the effort). I decided on the Smoke, despite my heart being set on the Ranger Tan colour. The Tan looks nicer on the union street, they use a darker leather on the Brixton which does't quite look the same. The bag is made of a waxed canvas with leather trimmings. The bag looks amazingly stylish, even more so once you have scuffed the canvas up a bit. The leather trims are beautiful and a fine quality leather. Despite appearances the bag is fastened by two brass push clips, which gives easy access. The strap is a strange seatbelt type material with a shoulder pad that is leather on one side and padded on the other, nicely coated with the same coloured canvas as the bag (nice touch). The strap is comfortable, even when fully loaded. The bag offers enough protection for everyday use, something this streamlined will never offer masses of protection, but I would probably feel comfortable dumping it on the ground if I wanted to. The padding inside the bag is, again, beautifully crafted. Its a nice thick padding with a very soft felt covering, makes getting your gear out a pleasure. The Brixton has a leather grab handle at the back and a pocket with a magnetic fastener. The grab handle is a bit pointless in my opinion, in that it doesn't really offer much of a carrying solution. It is only there quickly grab the bag before putting it on your shoulder. The pocket has enough space to put a tablet or a note book. The bag takes all the gear I need for a day out. In the main compartment I can fit my MBA, Fuji X-T1, Fuji X100s, Fuji 56mm f1.4 and the Fuji 28mm f2. There are two front pockets which can hold batteries and memory cards. All bags are different and this is certainly not for everyone or for every occasion. The price tag alone sees to that. Coming at £250 its a pricy option (the Union Street is around £270 from fotosense). For me it has become my number one goto bag, so for that the price is worth it. The fact that it is damn stylish is a bonus. These bags are beautifully crafted, and designed in such away that the more they are used the better they look. If design and appearance is important and you are willing to pay extra for the quality then this may be the bag for you. I have no doubt this bag will still be going long after i've need for it. If you are just after something to protect your gear and not too concerned on the looks, there are certainly cheaper options. If you are feeling extra rich and don't dig the canvas, check out the amazingly beautiful all leather versions of the Brixton. Imagine Indiana Jones with cameras and you may come close to how cool they are. Thats all for today, thanks for reading. Leave any questions in the comments below. p.s. check out the fotosense website for ONA products in the UK. Compact system, Mirror less, cameras have come a long way in the last few years, taking on the world of DSLR's. Their integration into enthusiast and pro level use has been slow, with very few pros committing to replacing their DSLR gear. The Fuji X system, following on from the Olympus OMD, tried to change that. Fuji introduced the X-pro 1 and X-E1 back in 2012, providing an interchangeable lens system in a similar mould to the X100 (fixed lens camera). These cameras were aiming at the higher end of the market (especially the X-pro 1), and offered a slightly more professional looking package than the equivalent Micro four thirds kits.I adopted the fuji system last summer after using an Olympus OMD kit for just over a year. I have been hooked on the size and weight of mirror less cameras since I bought my first panasonic GX1 a couple of years ago. The image quality in the most part was excellent and I have no regrets about selling all my pro Nikon kit. There are some functions I initially missed, but I learned to adapt the way I worked. When fuji came out with the X-pro 1, especially once all the glitches were ironed out, it offered the best of both worlds in terms of image quality and portability. The images from the Fuji cameras easily surpass what my Nikon D3 produced, even at High ISOs. The Fuji X system was far from perfect though. The X-Pro 1 was initially very slow to focus, coming from both the Olympus and Nikon, this was a bit of a shock and although I'm not one for shooting sports or particularly fast moving subjects, it was a bit annoying. The lenses too tended to do too much hunting for my liking and had a habit of occasionally going through their whole focussing range for no reason, even if the subject had not moved. It wasn't too much of an issue, but I probably found myself taking a few extra images to compensate. One thing Fuji are very good at is sorting out issues using firmware. The camera and lens update that arrived in September last year basically changed the whole handling of the X-Pro 1. Somehow it was three times more responsive and the focusing was improved to such an extent it felt like a different camera, still falling someway behind the Olympus in speed and accuracy. The last few months have seen Fuji bring out a few new cameras and lenses, starting off with the X100s last year. This camera, although looking exactly the same as the original X100, was completely overhauled on the inside. Its an absolute pleasure to use (maybe I will write a belated review) and all the quirks of the original have been rectified. Fuji then brought out the X-E2 to rave reviews, but still there was no replacement to X-Pro1. Then fuji released the X-T1. It seemed to slip a little under the radar and at first I was not quite sure where it was supposed to sit in the Fuji line up. Was it an X-Pro 1 replacement? Was it an enthusiast camera? After reading some the preview reports coming out, I knew I needed to get my hands one. The styling of the X-T1 is completely different from previous X cameras as they have all had a range finder-esq shape, with the viewfinder off to one side. For the X-T1 Fuji have gone for a more familiar SLR shape, but in keeping with Fujis vintage look, the camera resembles a Nikon FM camera (take note Nikon, this is what the DF should have been). It has the usual dials on the top plate, with an added ISO dial. It features a nice hand grip too. The X-T1 is also weather sealed which was something missing from all the other X system cameras. The X-T1 has carried on the tradition of the X system by employing a mixture of dials, scroll wheels and buttons. Basic operation is controlled by 4 dials. The Shutter speed dial, Aperture ring, ISO dial and exposure compensation dial. The mode of the camera is set by adjusting the dials. Both the shutter dial and Aperture ring have "A" settings. Setting both to "A" puts the camera into Auto mode, whilst setting the aperture and leaving the shutter on "A" puts it into Aperture priority and visa versa. This can take a bit of getting used to, but does feel natural after a while. Alternatively the front and back scroll wheels can be used to add a traditional DSLR handling. The Shutter speed dial has a locking button which engages when it is set to "A". This makes it difficult to change from "A" with the camera to your eye, just a small gripe and to be honest the lock needs to be there. The exposure compensation dial is vastly improved. On previous X cameras the exposure comp dial was easily moved, which helped when in use, but also meant that it could be easily moved when hanging on your shoulder. On the X100s for example I have to remember to check every time I take it out of a bag or pocket and has led to a few over/under exposed shots in its time. The dial on the X-T1 has a lot more resistance, but is still easy to operate when the camera is to the eye. The camera still uses the "Quick" menu that was introduced with the X-Pro1 which makes accessing the most popular setting easy. There are also a plethora of customisable button which is a nice touch. There are a couple of things that don't work quite as well. The X-T1 is the first X camera to use an ISO dial, situated to the left of the viewfinder. In theory, I have no issue with this and it adds to the classic styling of the camera, but this is only way to control the ISO. On previous X cameras the ISO was adjusted via the "Quick" menu, which was not totally ideal, as it was a two step process. The dial adds quicker access to the ISO, but it comes fitted with a lock, similar to the shutter speed dial. Where that dial only locks on "A" the ISO dial locks on every turn, unless the button is held down. This makes it incredibly difficult to quickly change ISO when the camera is to the eye. Its not a massive deal to me as I generally have the ISO set to Auto, or to the lowest setting, but for somebody who likes to change ISO frequently might find it quite an issue. Another niggle I have with the ISO dial is that it also includes the drive switch underneath, this dial has a little handle at the front of the camera. The dial includes different burst modes, Panorama mode and, rather annoyingly, art filter mode. I unwittingly did a whole test shoot in "toy camera" mode the other day, believing there was something wrong as every image had this strange vignette and was a Jpeg. I had caught the switch while changing the ISO setting, If you have chubby fingers like me it is quite easily done. I now have to remember to check this when I change ISO, not ideal. I would quite like the option to change ISO by a scroll wheel or fn button. Another major handling gripe for me is the autofocus selection point. This is something I use most of the time as I generally have the camera set to single auto focus point. There is no way of setting the autofocus point without pressing a button to access the selector, although not using much more time, it is just inconvenient. There is a four way selector on the back of the camera is used to select the points once the button has been pressed, so it seem a bit poor form for it not be customisable to allow direct access to the autofocus points. The selector pad is set up to include White balance, Macro mode, film simulation mode and the Autofocus point selection. Three of those I would not use generally (or at all). they are also easily accessed via the quick menu. Maybe this can be fixed with a firmware update in the future. This was one area I was a bit reluctant because a major draw to the X system, especially the higher end models, was there Optical/EVF hybrid viewfinders. They really are a pleasure to use. I was a bit wary about going back to just using an EVF. I have to admit though the EVF is amazing. Its massive and Bright. Its like have a wide screen HD TV in there. Its beautiful and very useful. Fuji have made full use of the size, even allowing twin images in manual focus mode so you can check focus and view composition. I really do recommend trying it if you have any concerns because it is stunning. One area that has always been a bit of an issue for Fuji in the past has always been the autofocus system, it has always been a bit slow and unpredictable. The X-Pro1 needed 3 or 4 firmware updates before it become a useful tool, but still lagged behind most of its rivals. The introduction of the X100s showed that Fuji were making vast improvements. 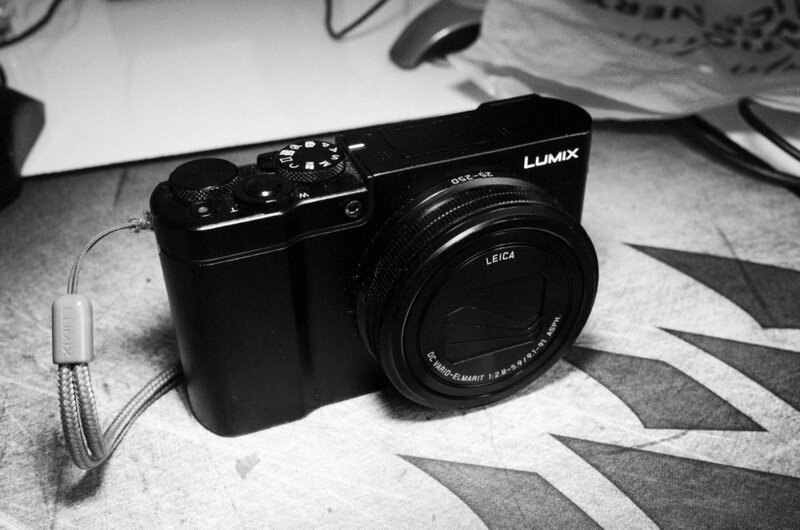 The X-E2 landed 2 months ago and featured a massively improved system. The X-t1 arrives with added Phase detection hybrid autofocus system and it works very well indeed. In ideal conditions it is apparently the fastest autofocusing mirror less camera on the market, which means, in real terms, is that it is incredibly quick and accurate. Even with continuous focusing it performs really well, which is a shock for a Fuji camera. Combine this with the 8fps burst rate and you might actually have a Fuji camera that can be used for sports and wildlife. Its not something I use much, but there are some great examples over on Dan Bailey's blog. Image quality has always been the X system strong point and the X-T1 does not disappoint. The X-Trans sensor produces excellent images and has done since the X-Pro1. There is not much to say about it as the X-T1 produces the same excellent results. Teamed up with the excellent lenses the images speak for themselves. The ISO performance is really very good. I would happily use images shot at ISO6400. They do drop away a bit after that, but I have seen some nice images shot at ISO12,800 so it is quite impressive. Fuji have always delivered beautiful colours and the in camera jpeg rendering is beautiful. I shoot a lot of Jpegs with my X100s and the X-T1 produces brilliant results. The Raw files offer a lot of information and fantastic dynamic range, support is still very limited (even a month after its release) with only Camera Raw opening the RAF files in Photoshop, still no Lightroom support or anything from Capture One which is really disappointing. * Update* Eventually both Lightroom and Capture One support files from the X-T1. Lightroom has really improved working with the X-Trans sensor and is certainly an able performer for quick edits and I use it to edit my street photography. To get the most out of the RAW files, Capture One is still the better option. I use Capture One for any Landscape or portrait work, where detail is paramount. The Fuji X-T1 is quite a camera, it is fast, responsive, quick to focus and that EVF is stunning. The image quality is the typical, high standard, Fuji offering. The images from the X-T1 are possibly the best I have seen from a non-full frame camera, same goes for the ISO performance. Image quality is certainly better than what my Nikon D3 produced. People get quite aggressive when comparing image quality, ridiculously comparing cameras 3 or 4 times the cost and laying that down as a marker. Is the quality better than Nikon D4 or Phase One medium format? I would say probably not, however it does stand up to the best full-frame cameras from a couple of years ago and thats good enough for me. The camera is compact, but not too small, I have quite large hands and I can hold it comfortably and it all feels natural. Is this the so called "DSLR Killer"? Depends on who you are and what you shoot. I would say that for some people the DSLR died a couple of years ago. I know a number of people who committed to mirror less systems a long time ago, both amateurs and pros. I, myself, swapped about 2 years ago. For some applications DSLRs still have the upper hand, sports and wildlife are probably still easier with a DSLR. In some areas of advertising and commercial photography the need for larger file output may still exist, somewhere where a Full-frame DSLR or medium format camera might be better. One things for sure, with the XT-1 Fuji have a camera which will have all, but the very top pro cameras looking over their shoulder. I know I don't miss carrying around over 10kg of kit. I enjoy having all my kit in a small shoulder bag, whilst still producing top quality results. If you have any questions regarding the X-T1 or the Fuji system please get in touch.